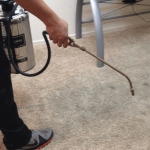 Our carpet cleaning process is Hot Water Extraction. We details the full process here. Customers also love the way it brings flattened carpet pile back to life. Now we flush all the dirt, grime and grit out of our carpet using our high powered hot water extraction machine, The Airflex Storm. 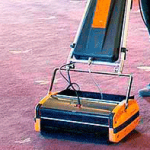 Using a specially designed Continuous flow recovery tool, the machine delivers fresh hot water at high power to blast the dirt from the carpet surface. The machine has powerful industrial vacuums which simultaneously recover all the dirty water and grime from the carpet moving it outside away from your property. We begin the clean by vacuuming. Using a commercial grade vacuum cleaner, we vacuum every inch of your carpet and skirting areas, this includes moving all moveable furniture and vacuuming behind and under anything we cannot move using our crevice tools. Any stains we identify during the vacuum stage will be pre treated with the appropriate stain treatment. The longer we allow the treatment to dwell the better the chances of removal. Eco-friendly cleaning solution pre spray. The real cleaning action happens when we apply our eco safe carpet cleaning solutions to your carpet. We use Eco friendly solutions to ensure the safest and most thorough clean possible. 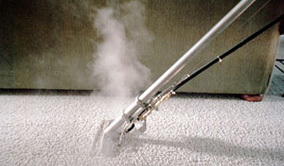 Eco friendly carpet cleaning is safe for all carpet types. From delicate wool carpets and rugs to synthetic carpets. Carpet scrubbed clean with rotowash counter rotating brushes. The Rotowash machine is designed to clean a variety of flooring surfaces. When we use it on your carpet it gets to work by spreading the cleaning solution over the carpet evenly. The rotowash ensures only the right amount of cleaning solutions are used. 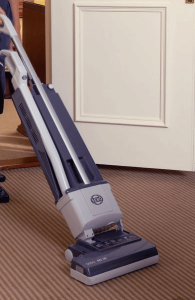 As it passes over the carpet with 2 special soft bristle brushes, the counter rotating action of the dual brush system gently scrubs the carpet clean. Bonded dirt is broken loose as every fibre of the carpet is cleaned. Continuous Flow Recovery- Dirt flushed from carpet using high pressure hot water. Now to remove all the dirt and grime we have loosened from the carpet fibres. By now the cleaning solution has reached maximum cleaning capacity and we are ready to extract the dirt while rinsing away the cleaning residues. Our Airflex storm extraction machine makes light work of rinsing and drying the carpet. The only machine built in the UK to pack 2 industrial vacuum units alongside a high power pressure pump. The special carpet wand we use has 2 pressure jets spraying water along the vacuum strip, as we pass over the carpet the top fibres make contact with the flow of water while the strong vacuum pulls the water through the carepet fibres. Furniture replaced using foil backed carpet protectors. 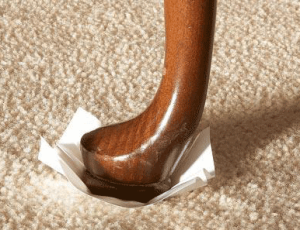 Never replace furniture on-top of damp carpet without using protectors for the carpet. if the furniture legs has any metal in the legs or if the item is wood stained or painted, this can cause rust to form and stain the carpet or it can cause the wood stain to transfer to the carpet. We replace all your furniture using disposable carpet protection tabs, essentially foil backed card. All furniture is replaced using this method. Skirting boards washed down and carpet pile reset. The sparkle finishing touches. After cleaning the carpets we like to finish the job by wiping down the skirting boards. This removes any dust and grime that would only end up on the carpet again. As we are leaving we use a carpet rake to reset the carpet pile.